Has the West Bengal government decided special economic zones -- even a limited one -- are worth a try? No one really knows, with Mamata Banerjee’s government. Speculation had been rife that Banerjee, who had decided to focus on the ‘young generation’ for the next five years of her term, would finally relent and grant SEZ status to the information technology sector, starting with long-pending proposals from Wipro and Infosys. A matter consuming policy and media attention for some years. Till last week, it was all very hush-hush in the corridors of the IT department of the government. The announcement, after much vetting, was supposed to be made by Banerjee, if at all. But then the Board of Approvals, an inter-ministerial body at the central government, played spoilsport. The BoA meeting agenda for June 22, made public as a matter of routine, revealed Wipro had made a new application for an IT/IT-enabled services SEZ over 19.8 hectares at Rajarhat, on the north-eastern fringes of Kolkata. The proposal has in-principle approval from the development commissioner of the Falta SEZ, according to the supplementary agenda of the BoA meet, but not state government recommendation. If the BoA approves the proposal, Wipro would have a six-month window for a state recommendation. However, mum’s the word in the state government. IT Secretary Talleen Kumar says, “I am not authorised to speak to the press; ask the minister.” Bratya Basu, the new IT minister, is unavailable even to say that. 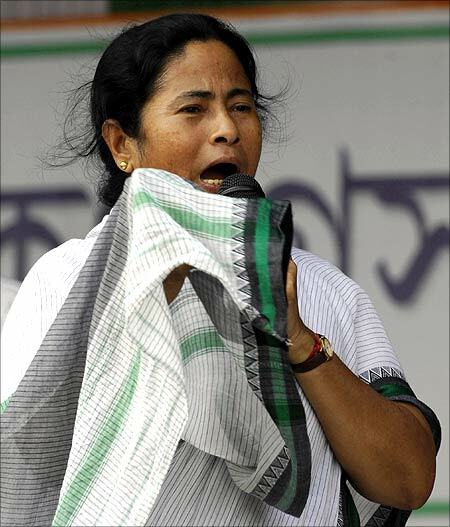 After all, no one wants to pre-empt what the maverick CM might do, whatever she hinted in the manifesto. The latter reads: “We will consider plans for knowledge-based industries like IT and industries that depend on intellectual resources. In 2011, the Trinamool manifesto had said, the government would not allow SEZs in West Bengal, to protect multi-crop lands. This time, it was silent on SEZs. Wipro and Infosys are taking heart from this change. Off the record, the two say they have received positive feelers from the government about a change in stance. The SEZ proposal from Wipro, in fact, was made days after IT and ITeS companies met minister Basu. Bureaucrats say Banerjee has, from the very beginning, been against any SEZ. For her, this was synonymous with Nandigram, where Indonesia’s Salim Group was building a chemical hub -- it had led to one of the violent movements in the Left Front regime. From a land movement, it turned to a turf war, and police firing killed 14 people. For Wipro, if this proposal is approved, it would mean a second SEZ in Bengal; for Infosys, it would be an entry into the state. Wipro has a headcount of around 7,500 at its first SEZ. The two SEZ proposals have been pending for approval since the change of government in 2011. In 2009, Banerjee predecessor Buddhadeb Bhattacharjee had stepped in to provide land at a concessional rate in Rajarhat. The price, Rs 75 crore for 45 acres, had been paid by the companies. However, the new regime under Banerjee had been stubbornly opposing any SEZ, though it was government land, not requiring any acquisition. “She is extremely wary about coercive acquisition of land and an SEZ to her means acquiring large tracts of land,” a real estate developer explains. And, narrates an incident to substantiate. The Banerjee government has come up with a township policy, whereby land in excess of that permitted under the Land Reforms Act could be brought under the exempted category, Section 14Y, for township projects. Will Infosys' Bengal dream finally come true?